Julia Xiaoyan Fan has extensive teaching experiences for over 10 years in the U.S. and China. Julia has obtained two Master’s degrees: one in Applied Linguistics from Guangdong University of Foreign Studies in China and the other in Foreign Language Education from NYU. Julia worked at the NYU Project of Developing Chinese Language Teachers and was Afterschool Program Site Director at P.S.184M. She taught Chinese Summer Camp at Avenues for 3 years and currently manages iBridge Language’s Little Frog Mandarin program. Meng Hui has been teaching Chinese in the U.S. for seven years. The level she taught ranges from K12 to college. She holds two master’s degrees: Linguistics and Publishing Management. 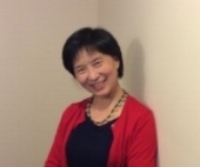 Ms.Yang was a senior editor in China and is a licensed teacher in the U.S. She taught and trained teachers at STARTALK Mandarin Immersion Program. She enjoys designing and developing curricula. She always encourages her students to make their own books while learning Chinese. Yolanda has obtained her Master’s Degree in Education at Heidelberg University in Ohio. She earned her Bachelor Degree in Broadcasting and Anchoring from Tianjin Normal University in China. She worked as a TV director and journalist in China. Meanwhile, Yolanda has a rich experience teaching Mandarin in both U.S and China. She has become one of the founders of a Mandarin-learning education company in Beijing. Yolanda's class is interactive and integrates games and fun activities. Carmen Chen has obtained her Master’s Degree in Foreign Language Education at Florida State University and got well trained in STARTALK Mandarin immersion program. She has rich experience teaching Chinese and cultural clubs in private and public schools in both Florida and New York. Currently, Carmen is Mandarin Instructor and Tutor at iBridge Language. She taught Summer Camp at Avenues and worked as a head teacher in China Institute. In Carmen’s class, students got personalized study plans and engaged interactive and fun activities. Wanyi (Gillian) Yang was born and raised in Fujian, China where she taught English and Mandarin for more than three years to students of all ages. Since moving to New York in 2015, she has taught Mandarin to toddlers and adolescents at iBridge and China Institute. She has a very engaging and outgoing personality, incorporating a variety of artistic and cultural activities into her lessons to make the students’ experience more enjoyable and memorable.